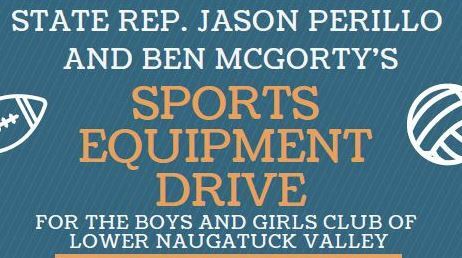 SHELTON – State Representatives Jason Perillo and Ben McGorty are organizing a Sports Equipment Drive for the Boys and Girls Club of Lower Naugatuck Valley. The drive starts March 20th and will run until April 4th. Huntington Fire Co. No. 3. For questions or more information about the event contact Harrison Brooks at 860-240-8700.